This hybrid workshop is approved by FMCB for either DV or Ethics. It will focus on the intersection of domestic violence and ethics, both practical and theoretical. Will focus on the new Fam 800 Rules on mandatory in-person screening and how to develop and use a screening tool. 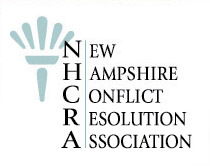 Also, will include review of NH’s domestic violence statute.